If you want a new five-door A3, the hatch is on the way soon as a plug-in hybrid. And Audi has promised a super-powerful RS 3, but it will be sold here only as a sedan. The 2016 Audi A3 models offer a variety of body styles, powertrains, and options to battle whatever the small luxury segment has to offer. The Audi A3 is a new weapon in the battle for compact luxury buyers. A new family of vehicles that slots in below the A4 lineup, the A3 was introduced first for the 2015 model year as a four-door sedan, and now includes convertible and plug-in hybrid hatchback models, as well as the sporty S3 . The A3 family has rivals in cars like the Mercedes CLA, the Acura ILX, and BMW's 2-Series coupe and convertible as well as entry-level versions of the 3-Series sedan. 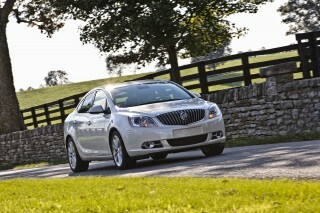 Buick's Verano, while not likely to be cross-shopped, offers a turbocharged engine and matches the A3 sedan's size, and the Buick Cascada convertible matches up with the A3 Cabriolet. The 2016 Audi A3 has a quintessentially Audi appearance. It looks conservative in comparison to competitors, a lot like the A4 despite its size and the distinctive angle of its rear roof pillars. The cockpit ventures carefully into new territory. More of its Volkswagen roots show up in the dash. The horizontal design is punctured by round vents, three climate-control knobs, a new media interface controller, and a touchscreen that rises from the dash. Base A3s have a 170-hp 1.8-liter turbo-4 and front-wheel drive. All-wheel drive cars get a 220-hp, 2.0-liter turbo-4. They're mated to a 6-speed dual-clutch gearbox. Zero-to-60 mph times range from 6 to 7 seconds..
An uprated turbo-4 appears in the spicy S3. With standard all-wheel drive, the S3 is good for 296 hp, providing a 0-60 mph time of about 4.8 seconds-just 0.2 seconds shy in that benchmark then the CLA 45 AMG, which sports almost 60 more horsepower. A3 sedans are just 175.5 inches long and ride on a 103.4-inch wheelbase. 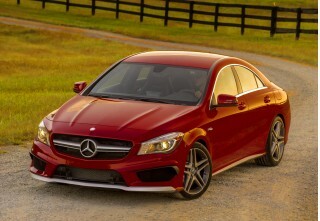 That's more than a half-foot longer overall than the Benz CLA, though the A3 has a longer wheelbase. The Audi is also wider, and that difference combined with how the A3's doors and roofline make it petite back seat more accessible than the one in the CLA is noticeable. Road noise is more intense, though, and trunk space is small. Audi aimed to maximize interior space and boost crash performance by moving the front wheels forward by about 1.5 inches compared to the last-generation model. The A3 also has options like blind-spot monitors and adaptive cruise control that maintains a traffic crawl with a tap of the resume button. 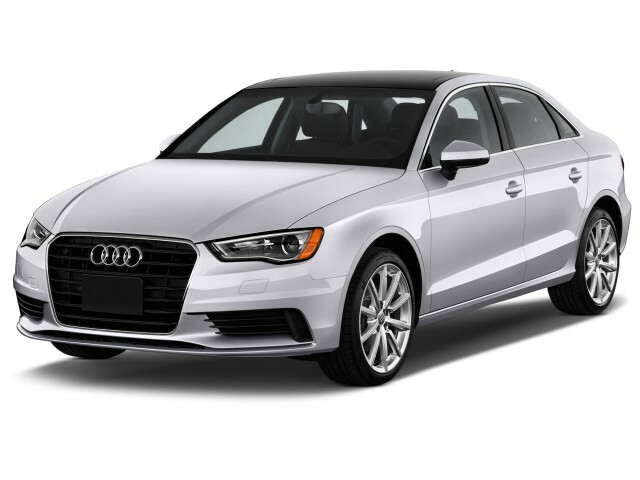 The 2016 Audi A3 1.8T starts at $31,825, while 2.0T quattro cars start at $35,125. The Cabriolet models start at $37,525 for the front-drive 1.8T and $40,525 for the quattro 2.0T model. All are sold as A3 Premium, Premium Plus, and Prestige models. Standard features include power accessories, leather, dual-zone automatic climate control, a power driver seat, and a panoramic sunroof, as well as Bluetooth audio streaming. Options include a 14-speaker, 705-watt Bang &amp; Olufsen sound system. This year, standard equipment also includes a rearview camera and metallic interior trim and Audi's non-touchscreen infotainment system. Audi Connect is an option that pipes 4G LTE data into the car for Google Earth maps and the like. The base A3 is EPA-rated at 23 mpg city, 33 highway, 27 combined. Quattro models get better, at 24/33/27 mpg. The 2016 Audi A3 is handsome, but not leading-edge; and the same goes for the new Sportback (hatchback version). With its various powertrains, the Audi A3 is available in sedan and convertible form, and as a five-door hatchback. The most popular will be the sedan body style that houses both the gas A3 powertrains and the sporty S3 model. The four-door's shape looks familiar to Audi drivers. It's sized and even styled very closely to the original A4, and the 80/90 sedans before it. It's somewhat sporty, without any major miscues or excitement. Dramatic? No, but the A3 has subtle and attractive surfaces and a sharp crease stamped into the lower part of th edoors. A distinctive angle in its rear roof pillars does a good job of hiding the very short rear end. The A3 does look a bit bulbous at the rear, though. The convertible models feature similar taut styling, forming a neat package that looks a little more sporty and perhaps less pedestrian than the sedan. A nicely finished tonneau covers the soft top when it is stowed and is encircled by attractive aluminum-look trim, just like on the larger A5 convertible. In Sportback guise, the A3 looks its most European, with a nicely canted hatch and attractive wraparound lighting in the rear. The look is very similar to that of Audi's Q3 compact crossover, although it's leaner and closer to the ground, with a pleasing squatness to it. The interior strikes out in a new direction for Audi, a return to the spare, wood-free cabins of the Eighties. The cluttered cabins of the recent past have been broomed. The A3 now has a tightly composed instrument panel with a wide sweep of horizontal lines and a minimum of interruption. The big round vents give it some relief, and the non-touch-screen flips up from the dash, tucking out of sight when it's not needed. Some of the interior details are obvious compromises. The metallic trim around the climate vents shine too brightly in direct sun. On the other hand, the cabin can be overly stark, especially in base form. There are no sport-sedan grand gestures here, but the A3 is quick, responsive, and confidence-inspiring. The 2016 Audi A3 sports three different powertrains, ranging from frugal fuel-sipping hybrid to throaty inline-4 with a punchy turbocharger. The A3 comes in front-drive form, with a 170-hp turbo-4, or in all-wheel-drive form with a 220-hp turbo-4. The e-tron plug-in hybrid has a 150-hp 1.4-liter turbo and a 102-hp electric motor. The gas engines pair with a 6-speed dual-clutch transmission. In this generation, the transmission seems to shift more smoothly at low speeds. Flick it to Sport and the shifts get firmer and quicker, and downshifts are rev-matched. Zero-to-60 mph times range from 6 to 7 seconds, but in the real world, the difference seems small. Both are responsive at low engine speeds, with the smaller turbo-4 sounding a bit more raspy. Turbo lag is just about absent. The best mileage, however, will come from the e-tron plug-in hybrid. It uses a highly efficient 1.4-liter turbo inline-4 that puts out 150 hp and 184 lb-ft of torque and is paired with a hybridized transmission-Audi takes the dual-clutch automatic and adds a 102-hp electric motor between it and the engine to aid the engine as well as provide all-electric driving. It can travel for up to 16 miles on electricity from its 8.8 kwh battery pack. A charge port hides in the grille behind one of the Audi logo's rings. The A3 has a front strut suspension a torsion-beam rear, which frees up more trunk space due to its compact arrangement. Audi's electric steering has excellent weight and build-up off center. Feedback isn't vivid, but you can place the A3 in its lane with precision. Its brakes have an easy-to-modulate, precise feel. The A3's all-wheel-drive system differs from the one in bigger Audis. It's a Haldex system that can send most of its power to the front, but can shift power to the rear quickly when the car's sensors predict traction loss. Audi offers Drive Select on the A3. It lets drivers fine-tune steering effort and throttle feel and shift patterns through comfort, auto, sport, and individual modes. The top A3 is the S3. 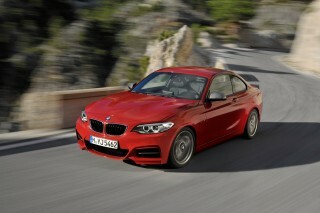 It sports a 296-hp turbo-4 and standard all-wheel drive. 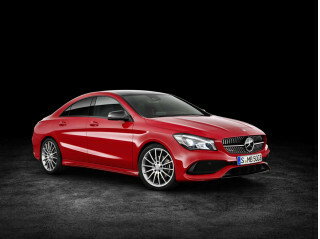 It knocks off 0-60 mph runs in 4.8 seconds, just 0.2 seconds slower than the CLA 45 AMG, which doles out almost 60 hp more. The S3 isn't a pretender: The athletic sport sedan can keep pace with vaunted Audi performance models of the past. The busy turbochargers swell to power in a way that's slightly addictive, and not altogether expected. Day-in, day-out drives are genuinely interesting the S3. A diesel version of the A3 was sold in the U.S. until 2015, when Audi admitted that those cars polluted beyond legal limits. Audi hasn't said when those cars might return to the U.S. There's something missing in comfort and packaging; the A3 isn't as quiet, refined, and special as we'd expect from the luxury brand. The A3 is a compact car, and one with a relatively low price. The lack of space and comfort still has us thinking twice about the need for its luxury-car badge. At only 175.5 inches long, with a 103.4-inch wheelbase, the A3 is about six inches shorter than a Benz CLA, though it's a little wider. The A3 does a better job of turning that size into as much space as possible; it has a taller roofline and doors. And still, the A3 seems cramped. The A3 hits a minimum for refinement at its price point, but doesn't go further. Road noise makes itself known, and the engine can thrum coarsely if you're lugging it at urban speeds. The front seats are adequate. They lack the support and firmness of more expensive Audis, not a surprise. The biggest issue is the short bottom cushions on all seats, and the placement of a hard console edge against the driver's knee. Only the driver gets a power seat, and ventilated chairs are not an option. In back, the A4 provides decent space so long as the front passengers can give up a little leg room. Head room is tight for passengers taller than 5' 10'. With some key active-safety options, and good safety ratings, the Audi A3 takes good care of its occupants. The 2016 A3 manages five-star ratings from federal authorities, including four stars for frontal and rollover crash protection, and five stars for side impact protection. 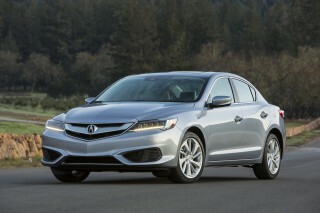 It has also earned a Top Safety Pick+ award from the IIHS. The Sportback and Cabriolet have not been tested by either the NHTSA or the IIHS, and they may not undergo future testing due to limited sales. Audi also adds forward-collision warnings to the A3, and offers blind-spot monitors along with the standard rearview camera. Its optional adaptive cruise control can maintain a crawl speed in traffic and follow the car ahead, with a tap of the cruise's resume button. The Advanced Technology add-on package adds active lane control as well as adaptive cruise control with stop-and-go. The 2016 A3 is at the forefront of in-cabin technology if you check the right options—yet there are some comfort items that should be here and aren't. 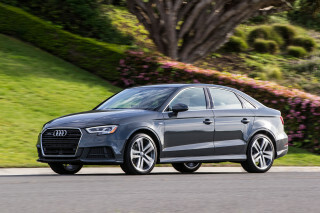 The 2016 Audi A3 1.8T starts at $31,825 and the all-wheel drive model starts at $35,195. The Cabriolet models start at $37,525 for the front-drive 1.8T and $40,525 for the quattro 2.0T model. All A3s come in one of three trim levels: Premium, Premium Plus, and Prestige models. The e-tron plug-in hybrid wagon starts at $38,125. All A3 sedans have standard power features, a power driver seat, leather, and a panoramic sunroof. Bluetooth is also standard, along with satellite radio and LED daytime running lamps. Option packages are few and basic. Premier cars add 18-inch wheels and keyless entry. Prestige cars get sporty trim, a 705-watt Bang & Olufsen sound system, Audi Connect in-car data, and LED headlights. A Sport Package adds Drive Select, sport front seats, and shift paddles. Audi puts its most capable infotainment system in the A3. 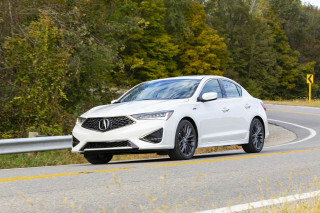 The system's excellent interface and connectivity are reason enough to consider this small sedan instead of some of the leading rivals. Start the engine and a high-contrast, full-color 7.0-inch screen rises up from the dash. The screen is one of the thinnest in the industry-and no doubt rather delicate-looking-but you don’t ever touch it. Instead, you can make inputs with a combination of twists and presses, via a controller and series of buttons on the center console; or you can cut right to the chase with individual voice commands for some things. On top of the rotary MMI controller there’s also a capacitive touchpad that allows you to trace with your fingertip one letter at a time to input addresses or contacts-a highly effective method that gets it right the vast majority of the time. Other new features for this version of MMI include read-aloud Facebook and Twitter alerts, direct access to RSS news feeds, and 'tuning' for more than 7,000 internet radio stations. That's in addition to online traffic information for the navigation system, which includes Google Earth and Google Street View displays, and even a feature that will show you a street view of your destination. That's all made possible through a super-fast on-board AT&amp;T 4G LTE connection. It requires a subscription, and the rates do include some surprisingly low data caps, but the system can also act as a wireless router for personal devices and could provide a connection fast enough for a laptop-based video conference in a pinch. That system is optional, however, and a more limited MMI system is standard. And it underscores a point: that while price may very well be among the top reasons for considering the A3 in the first place, if you want some of the key features in this car you'd better be prepared to pay a lot more. We haven't yet driven the A3 e-tron, so we'll save that for later, but the A3 quattro models are relatively fuel efficient. The 2016 Audi A3 lineup offers several fuel-efficient powertrains, with an e-tron plug-in hybrid available this year. Front-wheel-drive A3 sedans have the turbocharged 1.8-liter inline-4 and get ratings of 23 mpg city, 33 highway, 27 combined. Those with quattro and the 2.0-liter inline-4 earn a slightly better 24/33/27 mpg. The increase in economy with the switch to all-wheel drive-a rarity in the industry-can be credited in part to the A3's Haldex clutch-pack-based system, which sends power to the rear wheels only when its needed-typically not when cruising at a steady speed. It's also a matter of gearing; models with the 2.0T engine have somewhat taller gearing that helps the engine work less, especially when cruising. The 1.8T Cabriolet is rated at 24/35/28 mpg. Go with the quattro all-wheel-drive 2.0T model, and the ratings drop slightly to 23/32/26 mpg. In an early drive experience covering two different A3 2.0T sedans, over nearly 200 miles of rapid driving along hilly, curvy two-lane roads, we saw trip-computer-indicated averages on both cars of about 26 and 27 mpg. This gives us confidence that most people will be able to achieve these cars' 27-mpg EPA combined rating. Ratings for the e-tron plug-in hybrid Sportback model are set at 83 MPGe, or 35 mpg in gasoline-powered mode. Opt for the 'ultra' package, which is smaller wheels and lower rolling-resistance tires, and the EPA rating jumps slightly to 86 MPGe, 39 mpg combined. The e-tron ultra can travel on 17 miles on electricity alone, according to the agency. In 2015, Audi pulled from sale its turbodiesel A3 after the company announced those cars cheated emissions tests. The automaker hasn't said when it would bring back those cars to the U.S.